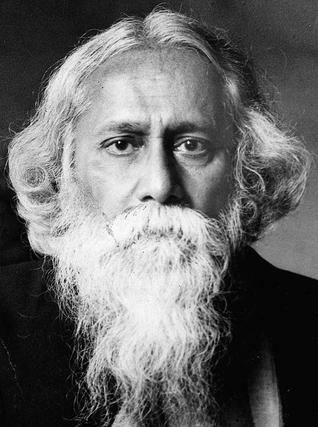 Tagore is the true literary legend of India. From Nobel prize to penning national anthem of 2 countries, he had done it all. But until last month, I had not read much of him apart from some stories in the school text books. I had browsed through some pages of Gitanjali, only to realize that I was too young to appreciate the devotional poems. Last month however, I downloaded “Stories from Tagore” , a collection of short stories by Rabindranath Tagore and discovered the beautiful world of his stories. These stories were written between 1890 to 1917. Originally written in Bengali, the trademark of his style is narratives reflecting the emotions, underlying the social and economic structure of that era. Each story shows that how we restrict our true emotion due to our mindsets, religion, social beliefs and moral obligations. Like the story of Cabuliwala, where a small girl develops friendship with the hawker. The girl reminded the hawker of his daughter from his home in Kabul and he likes to stop by and talk to the girl. And then there is a story where a devotee servant, who have served his master’s family for generations is accused of kidnapping the child, whom he loved more than anything. He goes back to village and raises one of his son, exactly like the missing kid and does not realize that what fate had in store for him. There are also stories of family disputes, floods, epidemic, personal conflicts and social taboos. Credit also goes to the translators of these stories, who did a brilliant job of exposing these stories to the greater number of audience. It will be interesting how western readers would interpret the books since these stories demand some sort of cultural understanding of India. I rated “Stories by Tagore” by Rabindranath Tagore 4 out of 5 stars on the goodreads. We all deserve to be in the World of Tagore’s stories which is the beautiful journey into the former century of time. Thank you Anita for the comment. Everyone loves Kabuliwaala it seems. Was it in one of the textbooks? All these stories are very close to my heart 🙂 Thanks for sharing the post …:-) Can I put a point there that Kabuliwalas were not exactly hawkers , they were traders from Afghanistan who used to come to Kolkata at that time ( they still come but a few of them can be seen these days) to trade dry fruits mainly. But later the community developed a monopoly business of money-lending. Kabuliwala is a person from Kabul and those days they came over doing business of selling dry fruits. Lovely post, nice to know you too have deep admiration for Tagore and his works. Thank you Indrani. I use to think that Kabuiwala were normal hawkers from Kabul but realized that they were a bigger business community. I read most of the stories and many novels by Guredeb. They are touching. Kabuliwala is a bery poignant story. Character of Mini and Kabuliwala both were so beautiful. It was also made a movie. I think Balraj Sahni acted in it. Brings back a lot of memory. It looks like a simple short story but the characters have such a depth. To be honest, as I wrote in the post, I am not too much exposed to his works and I was impressed by these stories and looking forward to read more of his works. Any suggestions? Thank you for the information on the movie. Is it in Hindi or Bangla ? I recently finished ‘Letters from A Young Poet’ and ‘Selected Short Stories’ of Rabindranath Tagore. And his stories have a deep heart felt way about them. I like Cabuliwalah, who hasn’t?. But particularly Letters From A Young Poet has left a lasting impression on me. No one, I mean no on can describe man’s longing for nature as Tagore. Ofcourse his short stories have always depicted with immense brilliance the challenge to human spirit and myriad conflicts of soul. Thank you Anupam for that comment. “Letters from A Young Poet” sounds like a lovely book. I will definitely add in the To-Read list. In fact, I am currently reading another short stories collections called “14 stories that inspired Satyajit Ray”. Its another beautiful collection of stories. Hi Avinash, great post…Good to hear that you are so interested in reading Tagore. I feel he is the best short story writer in our country. I would just like to mention a small typo…It is not Yates but Yeats…William Butler Yeats was his full name. He was an Irish poet and noble laureate himself. Thank you Balaka for your lovely comment. I discovered Tagore late in my life but I agree with you, his sense of characters makes him one of the best in the country. And thank you for correcting about Yeats. Next Post Which was the last watchable Airtel Commercial ?